Product prices and availability are accurate as of 2019-04-18 03:40:50 UTC and are subject to change. Any price and availability information displayed on http://www.amazon.com/ at the time of purchase will apply to the purchase of this product. 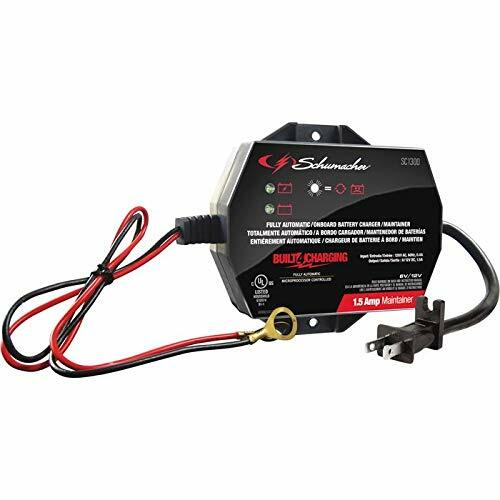 The Schumacher SC1300 1.5A 6V/12V Fully Automatic Battery maintainer is great for cold weather battery maintenance of motorcycle, power sport, and car batteries. 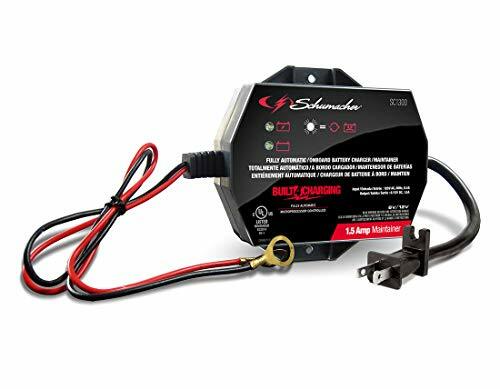 Specially designed for vehicles in storage and cold weather battery maintenance, this battery mainainer is quick and easy to mount under the hood or attach anywhere, including fender wells and battery trays. 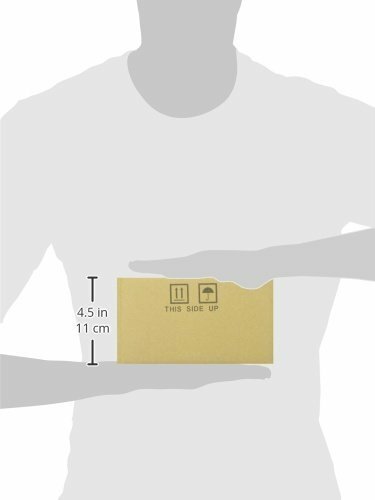 Includes double-sided adhesive and cable tie for mounting (mounting bracket sold separately). 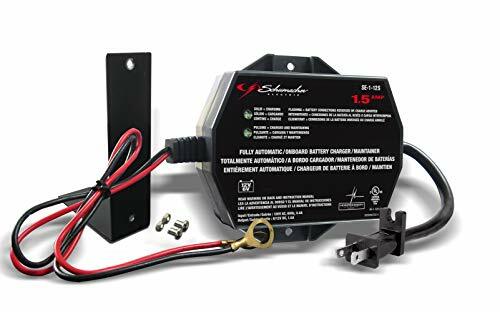 The SC1300 is microprocessor controlled to automatically adjust the amperage rate to charge and maintain, with multi-stage charging for added precision, safety, and battery life, and two LEDs indicate charge status. Features float mode monitoring to automatically maintain optimum battery charge, auto voltage detection, and reverse hook-up protection. Rugged molded plastic case resists gasoline, oil, water, solvents, and acid. Schu Eco Energy meets the highest industry standards. DOE compliant. Contents: (1) Schumacher SC1300; (1) Set of double-sided adhesive and cable tie; (1) Manual.